Annual state Budget of Madhya Pradesh state for the fiscal year 2018-19 has significantly addressed core sectors like agriculture, infrastructure, health, and education which in turn will act as a growth catalyst for all other sectors. Construction of new roads and improvised power infrastructure will enhance Ease of Doing business for industries in state and would lead to a series of initiatives that will aid in job creation. 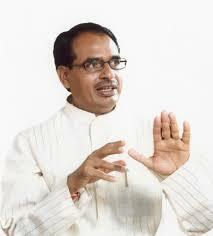 Chief Minister Shri Shivraj Singh Chouhan has termed the states budget as historic and a public welfare budget. He said that the budget keeps in mind all sections of the society and is a budget particularly of women empowerment, employment, farmer, poor, youth and children. For the first time, the budget has crossed over Rs 2 lakh crores. Shri Chouhan was addressing the media during budget presentation in the states Vidhan Sabha. CM Shri Chouhan said that in the budget the works undertaken in infrastructure particularly irrigation and agriculture are the basis of the states prosperity. Provision has been made of Rs 37 thousand 498 for agriculture and related works and Rs 17 thousand crore for energy. This will increase the growth rate besides increasing per capita income. At the end of the day it is the state that flourishes. Provision of Rs 650 crore has been made for Mukhya Mantri Bhavantar Bhugtan Yojana to provide security to the farmers from fall in market price of crops. Onion has been included in Bhavantar. The budget ensures adequate arrangement of food, clothes, shelter, education, medicines to the poor. Adequate fund has been provided for Mukhya Mantri Medhavi Vidyarthi Yojana. There is provision of scholarship, hostel for Scheduled Caste, Tribe, Other Backward Class and Minority section. He told that Mukhya Mantru Rin Samadhan Yojana has been implemented for farmers, who besides being defaulter, are not able to take loan on zero percent interest. The government will pay the interest amount under the scheme. The farmers will be able to pay the principal amount in installments and will be able to take loan on zero percent interest. The Chief Minister said that provision of Rs 18 thousand 165 crore is no less than a boon for rural development. A network of rural roads will be laid under various schemes which is an attempt to connect each village with roads. There is provision of Rs 11 thousand 932 crores for urban development. The work of group drinking water schemes for availability of drinking water during drought is commendable. Adequate provision has been made for technical education for skill upgradation of 7.5 lakh youths and connecting 7.5 lakh youths to self-employment in the efforts of employment generation under Chief Ministers Youth Empowerment Mission. He told that a new scheme has been launched under Public Health Family Welfare to promote government health services in private sector in rural areas. On investment in health sector, the private sector will be provided capital subsidy of 40 percent in rural areas and 50 percent in Scheduled Tribe sector. Effective steps have been taken for employee welfare in the budget. Union Budget is the most comprehensive report of the Government's ?nances in which revenues from all sources and outlays for all activities are consolidated. The Budget also contains estimates of the Government's accounts for the next ?scal year called Budgeted Estimates. Direct taxes are the one that fall directly on individuals and corporations. For example, income tax, corporate tax etc. Indirect taxes are imposed on goods and services. They are paid by consumers when they buy goods and services. These include excise duty, customs duty etc. These are levies charged when goods are imported into, or exported from, the country, and they are paid by the importer or exporter. Usually, these are also passed on to the consumer. When the government's non-borrowed receipts fall short of its entire expenditure, it has to borrow money form the public to meet the shortfall. The excess of total expenditure over total non-borrowed receipts is called the fiscal deficit. The difference between revenue expenditure and revenue receipt is known as revenue de?cit. It shows the shortfall of government's current receipts over current expenditure. The primary deficit is the ?scal de?cit minus interest payments. It tells how much of the Government's borrowings are going towards meeting expenses other than interest payments. It is the government actions with respect to aggregate levels of revenue and spending. Fiscal policy is implemented though the budget and is the primary means by which the government can in?uence the economy. This comprises actions taken by the central bank (i.e. RBI) to regulate the level of money or liquidity in the economy, or change the interest rates. A sustained increase in the general price level. The in?ation rate is the percentage rate of change in the price level. The Capital Budget consists of capital receipts and payments. It includes investments in shares, loans and advances granted by the central Government to State Governments, Government companies, corporations and other parties. The revenue budget consists of revenue receipts of the Government and it expenditure. Revenue receipts are divided into tax and non-tax revenue. Tax revenues constitute taxes like income tax, corporate tax, excise, customs, service and other duties that the Government levies. The non-tax revenue sources include interest on loans, dividend on investments. The Bill produced immediately after the presentation of the Union Budget detailing the Imposition, abolition, alteration or regulation of taxes proposed in the Budget. The Vote on Account is a grant made in advance by the parliament, in respect of the estimated expenditure for a part of new ?nancial year, pending the completion of procedure relating to the voting on the Demand for Grants and the passing of the Appropriation Act. If the total expenditure under a Grant exceeds the provision allowed through its original Grant and Supplementary Grant, then, the excess requires regularization by obtaining the Excess Grant from the Parliament under Article 115 of the Constitution of India. It will have to go though the whole process as in the case of the Annual Budget, i.e. through presentation of Demands for Grants and passing of Appropriation Bills. Amount of money allocated in the Budget to any ministry or scheme for the coming ?nancial year. Revised Estimates are mid-year review of possible expenditure, taking into account the rest of expenditure, New Services and New instrument of Services etc. Revised Estimates are not voted by the Parliament, and hence by itself do not provide any authority for expenditure. Any additional projections made in the Revised Estimates need to be authorized for expenditure through the Parliament's approval or by Re-appropriation order. Re-appropriations allow the Government to re-appropriate provisions from one sub-head to another within the same Grant. Re-appropriation provisions may be sanctioned by a competent authority at any time before the close of the ?nancial year to which such grant or appropriation relates. The Comptroller & Auditor General and the Public Accounts Committee reviews these re- appropriations and comments on them for taking corrective actions. From the ?scal year 2006-07, every Ministry presents a preliminary Outcome Budget to the Ministry of Finance, which is responsible for compiling them. The Outcome Budget is a progress card on what various Ministries and Departments have done with the outlays in the previous annual budget. It measures the development outcomes of all Government programs and whether the money has been spent for the purpose it was sanctioned including the outcome of the fund usage. Parliament, unfortunately, has very limited time for scrutinising the expenditure demands of all the Ministries. So, once the prescribed period for the discussion on Demands for Grants is over, the Speaker of Lok Sabha puts all the outstanding Demands for Grants, Whether discussed or not, to the vote of the House. This process is popularly known as 'Guillotine'. All revenues raised by the Government, money borrowed and receipts from loans given by the Government ?ow into it. All Government expenditure other than certain exceptional items met from Contingency Fund and Public Account are made from this account. No money can be appropriated from the Fund except in accordance with the law. A fund placed at the disposal of the President to enable him/her to make advances to the executive/Government to meet urgent unforeseen expenditure. Under provisions of Article 266(1) of the Constitution of India, Public Account is used in relation to all the fund ?ows where Government is acting as a banker. Examples include Provident Funds and Small Savings. This money does not belong to government but is to be returned to the depositors. The expenditure from this fund need not be approved by the Parliament. This is the tax paid by corporations or ?rms on the incomes they earn. The Minimum Alternative Tax is a minimum tax that a company must pay, even if it is under zero tax limits. By disinvestment we mean the sale of shares of public sector undertakings by the Government. The shares of government companies held by the Government are earning assets at the disposal of the Government. If these shares are sold to get cash, then earning assets are converted into cash, So it is referred to as disinvestment. Leading BPO services provider surevin is a Bhopal based IT company ,it is ready to go public through SME platform .Talking exclusively to Metromirror,Abhishek Gupta ,Promoter-MD Surevin said"We would utilise the funds for capacity building and technology upgradation .Presently our revenue is 50% through government .We also handle CM Helpline ." He said that the future of IT companies is bright and skilled IT Professionals would always find the right job. *9,12,000 equity shares will be floated,8,64,000 shares are being offered to the public. *Secured resources of revenue for the next 7 years. *25.97 is the cumulative growth rate in revenue of the company over the past 4years. *Aspiring to enter into newage technologies . We will be very liberal in the first two months. For two months we have given a lot of laxity since we are getting into a new order,Arun Jaitley/ Finance Minister. New Delhi : Finance Minister Arun Jaitley on Friday held out the assurance of a very smooth transition into the Goods and Services Tax (GST) regime, promising that the administration will be very liberal and not implement it very strictly in the first two months. Acknowledging that there will be some minor problems when a massive change takes place, he said that things will smoothen out in the times to come I think the roll-out will be very smooth, as smooth as possible. All systems are in place. When massive change takes place there is an element of uncertainty of the unknown and when there is unknown there is fear. The whole process will change. There will be some minor problems.I think that will be a matter of days, he said. He was replying to a question at the Aaj Tak GST Conclave on how smooth he expected the transition into the new indirect tax regime. Asked if he would give a time-frame by when things will smoothen out, he said the process of registration is on. People will get attuned to the system, reports IANS. We will be very liberal in the first two months. For two months we have given a lot of laxity since we are getting into a new order, he said.There may be glitches because of lack of awareness. In any technology, glitches are possible. 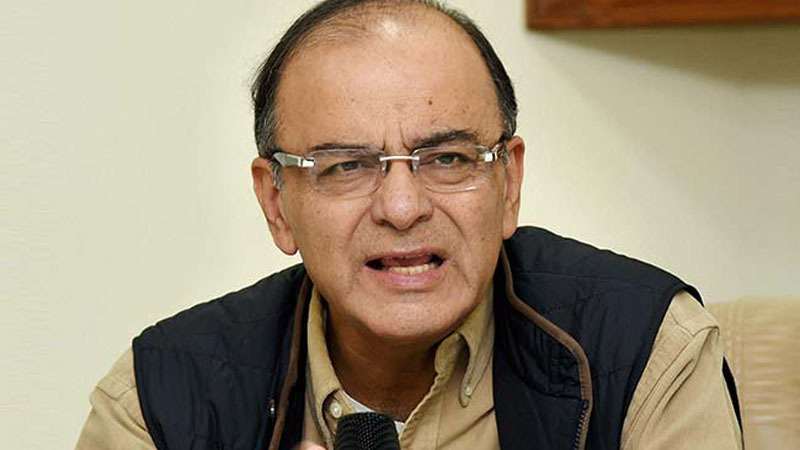 But glitches are rectifiable almost immediately, Jaitley said. This is a formal launch, because the switch over will be from 12 midnight. Its an idea of the government, he said when asked why the midnight hour was chosen for the launch. Jaitley said that the July 1 roll-out date was not his decision. It was the GST Councils decision. Last years constitutional amendment was valid till September 15. After September 15, we would have been a tax-less society. The Constitution does not allow this. There would be anarchy if we postponed it by six months, he said. On the whole, he said, the new law will bring in the principle of equivalence and equity in the indirect tax regime. Indirect tax is regressive. For a product, rich or poor has to pay same tax. To bring equity in indirect tax, the product being used by common man is being taxed at lesser rate. Single slab tax not possible in India. It may be possible in a developed country, he said. There is a need to bring equity in indirect taxation, otherwise rich and poor will be paying the same tax. The Finance Minister said that the multiple tax slabs were chosen to keep a tab on inflation. Multiple tax rates necessary to check inflation. To prevent inflationary impact, 12, 18 per cent tax rate was necessary. At some later stage, they may be converged into 15 per cent. If you see the overall tax rate and the goods basket, the revenue will go up but the burden will come down, he said. 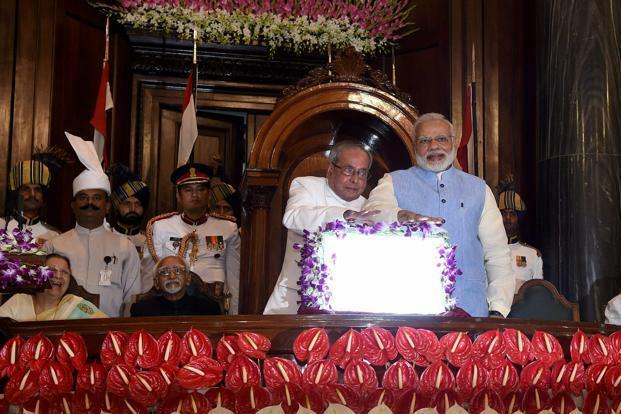 New Delhi: The much-awaited Goods and Services Tax (GST) was rolled out from midnight tonight from the historic Central Hall of Parliament in the presence of President Pranab Mukherjee, Prime Minister Narendra Modi, finance minister Arun Jaitley and other Cabinet ministers, many chief ministers and senior government officials. The Congress and the Left parties have decided to skipped the launch though some opposition parties attended the event. The GST has replaced more than a dozen central and state taxes or Value Added Tax (VAT) with an aim to create a seamless unified market for the $2 trillion Indian economy. Here are the live updates to the GST launch: President Pranab Mukherjee, Prime Minister Narendra Modi press button to officially launch GST. (PTI) President Pranab Mukherjee said the ambitious central tax is a tribute to the maturity and wisdom of Indias democracy. The new era in taxation, which we are about to initiate in a few minutes, is the result of a broad consensus arrived at between the Centre and states, Mukherjee said minutes before the GST roll-out in his speech at a special function in the central hall of Parliament. This consensus took not only time but also effort to build. The effort came from persons across the political spectrum who set aside narrow partisan considerations and put the nations interests first. It is a tribute to the maturity and wisdom of Indias democracy, he said. The President termed the GST a disruptive change. It is also a moment of some satisfaction for me because, as the Finance Minister, I had introduced the Constitution Amendment Bill on 22 March 2011 he said. It is similar to the introduction of VAT when there was initial resistance. When a change of this magnitude is undertaken, however positive it may be, there are bound to be some teething troubles and difficulties in the initial stages, he said. Mukherjee said these issues have to be solved with understanding and speed to ensure that they do not impact the growth momentum of the economy. Success of such major changes always depends on their effective implementation. In the months to come, based on the experience of actual implementation, the GST Council and the Central and state governments should continuously review the design and make improvements, in the same constructive spirit as has been displayed till now, he said. (PTI) Prime Minister Narendra Modi today termed the GST as a good and simple tax which will end harassment of traders and small businesses while integrating India into one market with one tax rate. In the historic Central Hall of Parliament, Modi said the indirect tax reform is a result of combined efforts of various political parties at different points of time. GST, he said, is an example of cooperative federalism as the centre and states together thrashed out the new law with consensus. Besides being a transparent and fair system that will end generation of black money and corruption, GST will promote new governance culture that will end harassment at the hand of tax officials. Touching upon initial teething troubles that may be witnessed because of unification of more than a dozen central and state levies into one and switching over to a new online return filing system, Prime Minister said even eyes have to adjust for a couple of days when a sight corrective spectacles are worn. 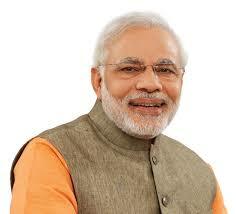 Modi said GST will eliminate the compounding effects of multi-layered tax system. (PTI) Finance minister Arun Jaitley today said rollout of the GST will ease inflation, make tax avoidance difficult and boost GDP growth. Addressing the midnight launch event of the GST in the Central Hall of Parliament, Jaitley said the implementation of the landmark unified tax should be seen as the beginning of a new journey that will expand the countrys economic horizon. He further said that 17 transaction taxes in states and centre and 23 cesses would be subsumed in GST. An assessee will have to file only one return. Inflation will come down, tax avoidance will be difficult, Indias GDP will be benefited and extra resources will be used for welfare of poor and weaker section, Jaitley said. India is making history with the launch of GST, which is the biggest and most ambitious tax and economic reform in its history, the finance minister said. The old India was economically fragmented. New India will create one tax, one market, one nation. It will be in India where Centre and states work together towards the common goal of shared prosperity, Jaitley said. Terming GST as an important achievement for the country, he said not only will India write a new destiny, the new tax regime would also strengthen federalism. The Constitution says India is a union of states. The union is strong if both Centre and states are strong. That is the real meaning of cooperative federalism.While enacting the GST, neither the states nor Centre gave up their sovereignty. They have pooled their sovereignty to make joint decisions in indirect taxation, the finance minister said. In a large and complex federal system of multi-party democracy with Centre and 29 states and 2 UTs, Jaitley said India has implemented a constitutional amendment and brought in a large tax reform. We have done this at a time when world is facing a slow growth, isolationism and lack of structural reforms. With the GST, India has showed that these forces can be overcome through display of inclusion, openness and boldness, he said. He appreciated the efforts of all members of parliament, state finance ministers and officials in making GST a reality when many had expressed doubts whether it could be implemented from 1 July. Jaitley also recalled the initiatives taken by his predecessors, including the then finance minister Pranab Mukherjee. He recalled the contribution of former finance Yashwant Sinha and former economic affairs secretary Vijay Kelkar. All decisions of GST Council were taken uninamously.We did not want to burden common man and weaker section, Jaitley said. President Pranab Mukherjee, PM Narendra Modi, VP Hamid President Pranab Mukherjee, PM Narendra Modi, VP Hamid Ansari arrive in Central Hall of Parliament for launch of GST. (PTI) Rollout of the Goods and Services Tax is historical as it will bring about a revolutionary change in the country, Maharashtra Chief Minister Devendra Fadnavis said today, hours ahead of the high-profile event in Delhi to mark the transition to the new tax reform. One nation, one tax, one market will come into effect with the rollout of GST. The taxation system will make trading easier. While Maharashtra will benefit from GST, other states too will benefit a lot and our economy will get a boost, Fadnavis said in a statement issued. (PTI) With the Goods and Services Tax (GST) coming into effect from tomorrow, rail passengers will have to pay a little more to travel AC and first class. Service tax on AC ticket charges will be hiked from 4.5% to 5%, an increase of 0.5%, after the GST implementation. Similarly, GST on transport of goods by rail will be 5% in place of service tax of 4.5% levied earlier with exemption for essential goods like milk and agriculture produce. Service tax is levied only on AC and first class fares in the Railways. (PTI) Retailers offered steep discounts before shutting shop for software updates before GST launch at midnight on Friday. Read more Union minister M Venkaiah Naidu today said there would be some initial hiccups in rolling out the Goods and Services Tax (GST), but those can be addressed. (PTI) Consumers will have to shell out more for banking services, insurance premium payments and credit card bills with GST rollout from Saturday. ATM withdrawals, debit card transactions, fund transfers too will cost more. read more Restaurants will present diners with two bills in some places on Friday one before midnight, and one after that to reflect the tax change after GST launch. read more Retailers on an overdrive to clear stocks before the GST launch at midnight kicked in, as they wanted to minimise their pre-tax regime inventory. Prices of branded garments would go up from Saturday in line with the 12% GST rate on garments priced above Rs1,000. Those that cost less than Rs1,000 will be taxed at 5% and could be priced lower. What was driving the discounts was the fact that traders will get only 60% credit for taxes paid by them while sourcing their stocks for meeting the GST liability on the sales they make, if invoices for taxes paid previously are not available. If documents proving taxes paid previously are available, full tax credit will be granted under the GST regime. Power Minister Piyush Goyal today said that GST rollout is a transformational move aimed at increasing revenues that will bring down the taxes in future. (PTI) The Delhi BJP today said it will organise camps to help trader organisations and the common people on problems and misconceptions related to the Goods and Services Tax (GST). Delhi BJP president Manoj Tiwari said finance minister Arun Jaitley will address a GST-related meeting at the Talkatora Stadium on 6 July. RBI Governor need not have a rock star status to be successful and India's ratings would depend on its policies and not any specific personality, Fitch Ratings said on Sunday. Fitch's comment comes in the backdrop of government elevating RBI Deputy Governor Urjit Patel as the Governor of the Reserve Bank. "A central bank governor does not need to have a rock star status to be successful in reigning in inflation or cleaning up the banking sector," Fitch Ratings Director, Asia-Pacific Sovereigns Group, Thomas Rookmaaker said. US-based rating agencies Moody's and Fitch also said that Patel as the next RBI Governor signals a likelihood of policy continuity. "We assume continuity of the RBI's policies under the new Governor, Patel," Moody's Investors Service SVP, Sovereign Risk Group Marie Diron said. Fitch said outgoing Governor Raghuram Rajan has set in positive transformation starting with recognition of high inflation and weak bank balance sheets problems. Echoing similar views, Rookmaaker said: "Patel's appointment as the next RBI governor signals a strong likelihood of policy continuity." From rating perspective, policies are more important than personalities, he added. The positive transformation set in motion by Rajan, starting with the recognition of the problems associated with both high inflation and weak bank balance sheets, is not yet complete. "Having served as deputy governor in the past three years, Patel is well-positioned to further institutionalise these policy changes in the period ahead," Rookmaaker said. The government on Saturday elevated Patel as the 24th Governor of the Reserve Bank. Springing a surprise, Rajan in a letter to RBI staff in June had announced that he would return to academia and not seek a second term. Rajan, who was often called the rock star central banker, demits office on September 4. Diron further said two sets of policies and decisions by the Reserve Bank would be relevant to India's sovereign credit profile. "First, efficient transmission of credible monetary policy fosters a stable macroeconomic environment with inflation at moderate levels. Second, banking sector risk weighs on India's sovereign credit profile. The clean-up of banks' balance sheet has started and it would be credit positive from a sovereign perspective, if it led to improved bank capitalisation levels, renewed loan growth and robust risk processes," Diron said. She said future inflation developments will provide further indications of monetary policy credibility. "We expect inflation to remain broadly stable around recent levels although there are sources of upside risks," Diron said, adding Pay Commission award could stoke food inflation posing a challenge to RBI. Around this time two years ago, Kotak Mahindra Bank had announced the launch of Jifi. It allowed users to authenticate their Twitter accounts with the bank and perform regular banking transactions via the medium, in a jiffy. This was the time when Instagram had just started commercially picking up in the country and Snapchat got nary a mention in any conversation around digital. Twitter was the 'it' thing back then with brands from several categories flocking to it. They still do, and some (read: few) do it well. But most of it is centered around grievance and reputation management and broadly PR. To offer banking services via Twitter was definitely unique and Kotak had claimed to offer 20 banking services that could be carried through the micro-blogging platform. Security issues would have been the first to put people off the service. But Jifi didn't offer fund transfers, and every request would've been routed via mobile banking, so the service did get some Tweeters valuing its ease. 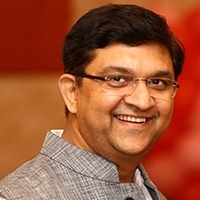 However, the numbers aren't great even two years after it started, admits Karthi Marshan, Sr EVP and head - group marketing, Kotak Mahindra Bank. Was it Kotak's way of striking another medium off the laundry list then? For Marshan, it was really the fear of missing out on a potential medium, he says. "In the digital era, one has no choice but to try many things. You don't know what may click. You don't know when the network effect may kick in." Marshan takes a moment here to tell us about Finalta. It's a McKinsey solution, one of the market leaders in the financial services benchmarking space. In Finalta's June'15 benchmarking result, Kotak ranks the highest in Mobile login and mobile transaction frequency in India. On an average, the global leader gets over 11 logins on its app in a month. Kotak got nine in June 2015 highest in India and Asia. "Kotak's banking app has the highest rating (4.4) among all BFSI players on the Google Play Store. Monthly rating went up from 4.34 in Nov'15 to 4.51 in Mar'16," he further tells us. "But just because the core banking app is doing well for the brand doesn't mean we don't do anything else," he says. And Kotak's not the only one now. Shortly after Jifi, France's second largest bank Group BPCE announced their own Twitter payment service. Back home, ICICI announced their Twitter banking facility around January last year. Called 'icicibankpay', the service allows users to transfer money via Twitter Direct Messaging. Twitter itself has been reportedly trying to venture into the payments space in a bid to look beyond advertising for revenue. But none of these developments have been able to bring about any revolution in the Twitter banking landscape. Perhaps the platform itself is not conducive for something as personal and critical as banking, feels Lakshmipathy Bhat, app-maker Robosoft's VP - corp comm, and a prolific twitterati at @bhatnaturally. �Corporates should run their own Pension Funds for their non-EPFO category employees and invest funds in the equity market�, urged Mr U K Sinha, Chairman, Securities& Exchange Board of India while speaking at CII�s 5th Capital Markets Summit. Mr Sinha suggested that this would make reliable,long-term capital available for investment. He further explained that it is not easy for the Government to make drastic changes and requested industry to come forward and take steps to improve market depth. While acknowledging regulatory hurdles to IPOs, Chairman also pointed out that reluctance on part of companies to comply with prescribed governance norms is equally responsible for the lack-lustre IPO market. He advised companies not to push back but project best practices to attract domestic and international investors. Mr Sinha announced that SEBI is adopting measures to ensure that filing of information just once with SEBI would be adequate compliance through Annual Information Memorandum. This should be operational within three months. On adoption of other facilitative initiatives, Mr Sinha announced that KYC across the Financial Sector would be integrated with the co-operation of all other financial sector Regulators. Mr Sinha also announced that revised ESOP Guidleines which would soon be issued by SEBI would be progressive and would resolve existing anomalies. He also mentioned that minimum public shareholding norms would be made neutral vis-�-vis ownership. Speaking at the Summit Mr. Nimesh Kampani, Chairman, CII National Committee on Capital Markets & Chairman, JM Financial Group suggested some exclusive tax benefits be offered on mutual fund investments, instead of clubbing them under 80C. Tax exemptions that will help channelize savings into the system as well as providing long term funds should be granted. He further added whether Investor awareness, financial literacy could be one of the constituents of the mandatory CSR that the companies now have to undertake under the Companies Act. Ms Chitra Ramakrishna, Managing Director & CEO, National Stock Exchange, upheldthe recent Corporate Governance rules as the next stage of governance model which will help instil confidence amongst investors and said that CII and the exchanges could work together to implement the new Corporate Governance norms. Mr Ashishkumar Chauhan, Managing Director & CEO, Bombay Stock Exchange, said FTA framework looks promising and was of the view that India should haveDouble Taxation Agreements with far-east Countries will help increase foreign retail investor participation, since they have a large Indian Diaspora. Mr.Atul Joshi, Managing Director and CEO , India Ratings & Research suggested that India should consider raising municipal bonds to deepen & widen bond markets in India. 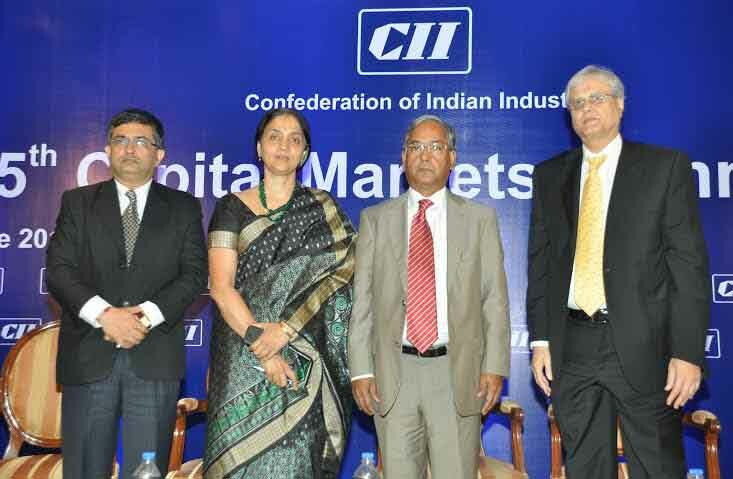 "Fostering Growth of the Indian Economy through Capital Markets"
Please find attached the exclusive photographs of CII Capital Markets Summit, inaugurated by Mr U K Sinha, Chairman, Securities & Exchange Board of India In Financial Capital of India � in Mumbai. NEW DELHI: Global ratings agency Moody's has said the Indian economy is unlikely to return to previous growth rates of around 7-8% in the near future even if the new government pursues a strong reform agenda due to the "depth of the issues to be addressed". "The country is also vulnerable to capital outflows given a history of sizeable current account deficits. Although the current account deficit was reduced to 0.3% of gross domestic product at the end of 2013, some of the narrowing is unlikely to be sustained once restrictions on gold imports are lifted," Moody's Investor Service said in its report. Expectations of a stable government after the national polls in mid-May have stoked expectations of a rush in economic reforms and efforts to rebuild the faltering economy, which has seen growth slowing to a decade low of 4.5%. Several factors including policy delays have hurt growth and critics have slammed the government for mismanaging the economy. The government says the steps taken by the administration in recent months have helped revive growth prospects. Moody's said high inflation at more than 8% in March 2014 implies that the central bank has no room to ease monetary policy in the short term and may even need to tighten further. NEW DELHI: A Global consultancy firm pegged a new level for poverty or empowerment line � at Rs 1,336 per month per person as against the poverty line prescribed by the government at around Rs 870 per month per person. McKinsey, in a report, said the empowerment line determines the level of consumption required for an individual to fulfill his/her basic need for food, energy, housing, drinking water, sanitation, health care, education and social security at a level sufficient to achieve a modest standard of living. According to the report � From poverty to empowerment: India's imperative for jobs, growth, and effective basic services � 56% of the population lacks the means to meet essential needs as consumption level falls below Rs 1,336 per person per month or almost Rs 6,700 per month for a family of five. This translates to 680 million people whose consumption levels across both rural and urban area of the country fall short of this mark. The report said India can bring more than 90% of its people above the empowerment line in a decade by implementing inclusive reforms. Steps are needed to stimulate investment, job creation, farm productivity and improve the delivery of basic services. These reforms, the report said, could potentially allow India to achieve an average GDP growth of 7.8% between 2012-22. This could lift 580 million people above the empowerment line, leaving 100 million or 7% of the population below it in 2022 and 17 million or about 1% below the official poverty line. But, if inclusive reforms do not happen, the report said, around 470 million Indians or 36% of the population would remain below empowerment line in 2022 and 12% of the population would be languishing below the official poverty line. If inclusive reforms are implemented, 115 million non-farm jobs would be created by 2022, which will increase the spending power of those persons who migrated from agricultural sector. The inclusive reforms will also increase the farm productivity from the present level of 2.3 tonnes per hectare to about 4 tonness per hectare by 2022. However, the inclusive growth, cannot be realized without public spending going up substantially. According to the report, the public spending on social services must double from Rs 5.7 lakh crore in 2012 to Rs 10.9 lakh crore in 2022 to fill the critical gap in the social infrastructure. �The world has changed dramatically in the last five years. There is a strong upsurge towards democracy, accountability and transparency. The corporate world cannot ignore these social and political happenings in the larger society because the considerations that govern the rest of society, the same guiding principles will also govern corporates,� said Mr. U K Sinha, Chairman, Securities & Exchange Board of India (SEBI) at CII�s 9th International Corporate Governance Summit. �Adding to this is the US financial crisis where it was found that many corporations acted recklessly took too much risk, went for short term gains, had lax monitoring and had policies not in the best interest of shareholders. These have led to shareholder impatience and the strengthening of regulatory actions against corporates,� Mr Sinha explained. Responding to the submission by Mr Chandrajit Banerjee, Director General, CII that the regulations should not be framed keeping the outliers in mind, Mr Sinha responded that non-compliance was becoming quite rampant. Chairman, SEBI also pointed out that many companies are not complying with the Listing Agreement - Clause 40A on minimum public shareholding and Clause 49 on Corporate Governance and that SEBI would we well within its right to take action against them. Mr Sinha also alluded to another trend recently visible globally; the alliance between investors, especially institutional investors and activists, which is taking up issues on a major scale. Mr. Sinha also referred to international corporate governance practices with the intention of driving the need to be in sync with the rest of the world and for corporates to go beyond how business is done in India and adopt international best practices in a globalised world. Mr. Sinha urged companies to be extra conscious about compliance to the Companies Act and comply in sprit rather than the letter. Mr. Sinha informed that the new set of corporate governance guidelines for listed companies are being finalized and are expected to be announced shortly. Mr K V Kamath, Past President and Chairman, National Council on Corporate Governance & Regulatory Affairs, CII advised that corporate governance is a naturally evolving process and should be internalized. He further added that the regulatory nudge in the offing may turn out to be a hard shout to turn such practices from mere form to a due process. A joint CII- Deloitte publication titled �Global Trends in Corporate Governance � since the financial crisis� was released by Mr. U K Sinha at the summit. The paper gives an overview not only of the national trends but also global trends in corporate governance. 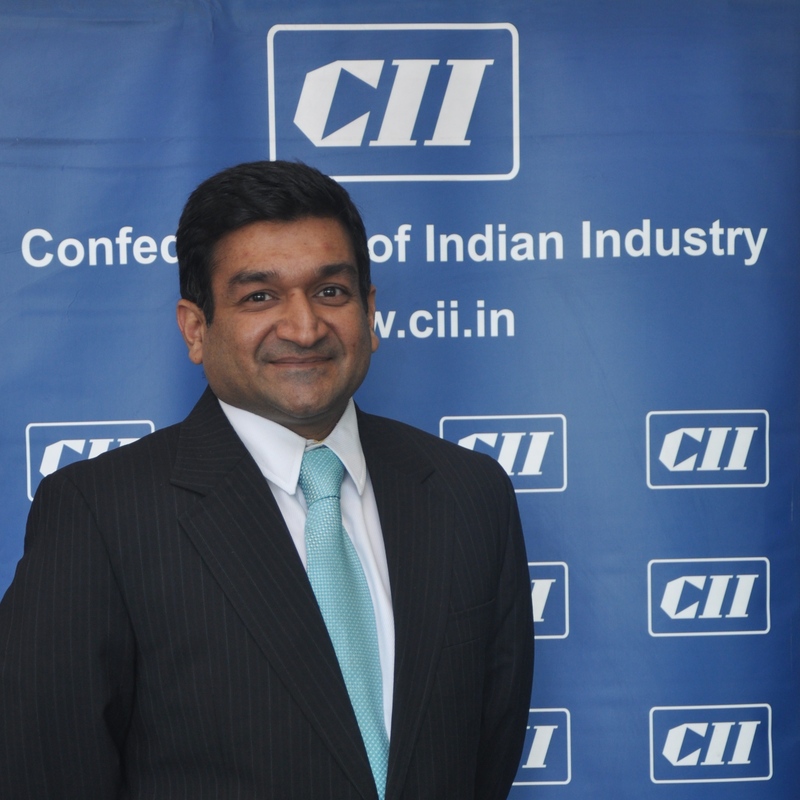 Earlier while welcoming Chairman, SEBI; Mr Chandrajit Banerjee, Director General, CII, highlighted CII initiatives in the domain and suggested that the new regulations that would soon be in place under the newly legislated Companies Act, 2013 should not be implemented in a manner that would be disruptive to business. such higher standards will prevail. to MSEs which is your Charter of Rights. understand application form for loan. 3. The availability of collateral-free loan. difficulty and how your bank can help you. 6. Nursing sick MSEs and debt restructuring. of this Code in any of the above languages. ICICI Bank Home Loan organized a Mega Home Loan Mela at the Dussehra Maidan, Bhopal.All leading property developers have participated in the show.Exclusive offers by the bank & property developers were the main attraction for the loan seekers & property purchasers. Now Corporate-Salary-Account Holders will have to maintain a minimum balance in their accounts or they will be charged with a penalty on an average 3-months basis. The ICICI is shortly going to nullify the 'Exemption from minimum balance' enjoyed by its CSAH till now. Saving ICICI, HDFC, UTI 7 CITY BANK make Corporate-Salary-Account available without any condition for their customers. These Banks transfer their employees' salaries direct to their accounts. The new decision of ICICI does not favour this Time-Consuming & Less-Expensive process & thus the customers are going to be troubled. ADB grants MP Rs 1030 cr. The ADB (Asian Development Bank) has conceded to lend MP state Rs. 1030 cr. for Water supplying Projects. All the requisite conversations have been held between MP state & ADB & only the signing the Agreement is to be made. For the Central & State government officers & employees the SBI has launched 'Prashasan Plus'. The scheme provides special discounts on different kinds of loan such as Home loan, Car loan, Personal loan, Festival loan etc. Home loan will be provided on 7.5 to 8.25 % interest for 5 to 20 years. With Home loan & Car loan there will not be charged any processing fee. The RBI has ordered the commercial banks to exchange grubby & torn notes with new & spotless ones. For conducting the process Eighty -five branches of different banks have been marked such as- 16 of Bank of Baroda, 5 of Bank of India, 14 of Centrle bank, 6 of Corporation bank, 2 of Indian bank, 6 of India overseas bank, 3 of oriental bank of commerce, 10 of Punjab national bank, 7 of Punjab & Sindh bank, 14 of State bank & 2 of Syndicate bank. The Syndicate bank gave the Government of India an amount of Rs. 34.69 cr as interim dividend. The cheque of the amount was handed over to the Centrle banking secretary NS Sisodia by the President & MD of the bank Mr. Mickle Waystian in a function. The Indian Stock Market got a surprisingly encouraging jerk when the sensex crossed 6000 points & raised up to 6026.59 points. Before this, the sensex had gone through the highest level of 6150. 69 on February 14, 2000 though it latter fell down at 5924.31.